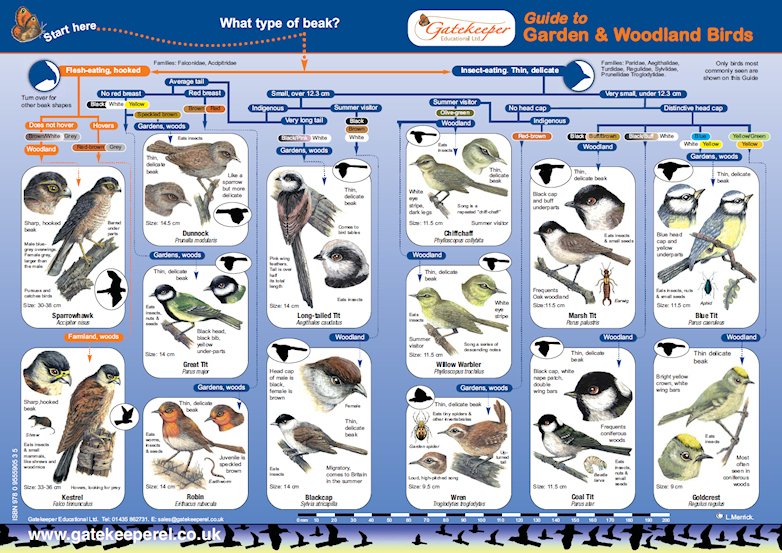 Gatekeeper identification guide for Garden and Woodland Birds with easy to follow key questions and clear illustrations. 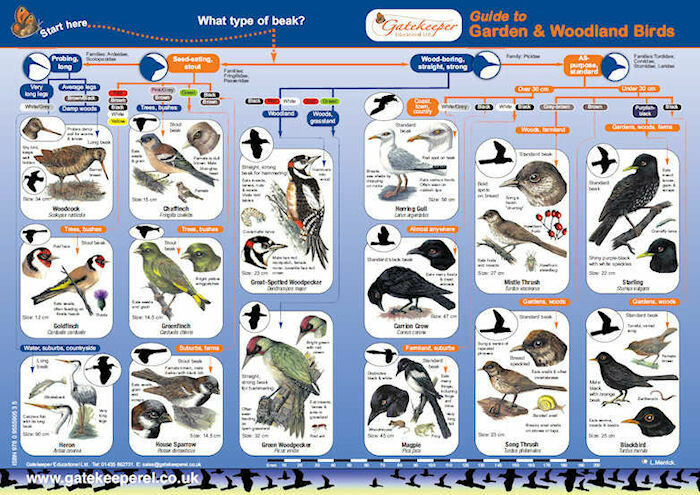 This series of guides provide a wildlife reference for schools and is suitable for Key Stage 2 and 3; Scottish 5–14 Level C–E. The guides are A3 laminated and folded identification keys. The guides enable identification using easy to follow key questions with clear illustrations that are attractive to study. Birds are sorted into families by beak shape. 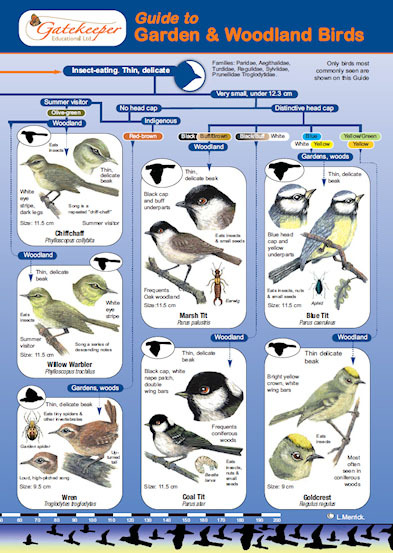 Illustrations of each species show specific identification features and flight silhouette.